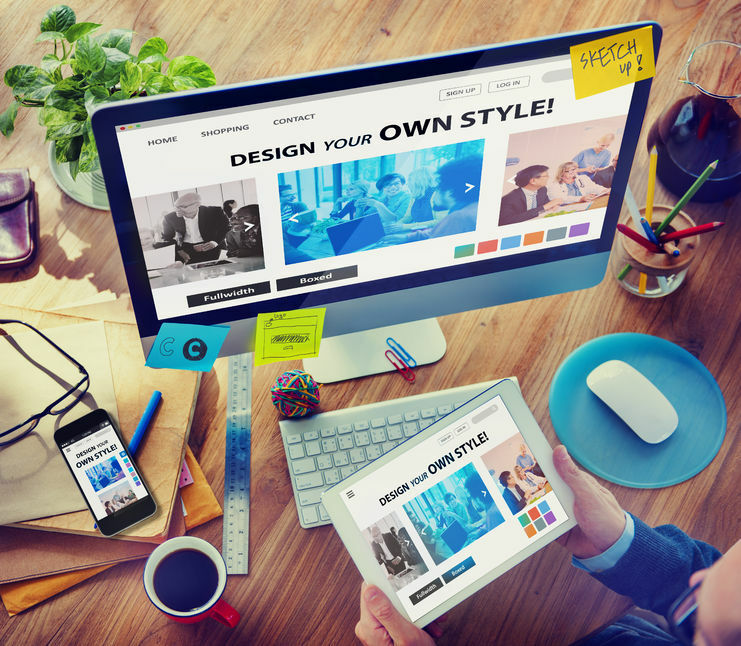 Open source software is a sophisticated way for the modern designer to perform basic or advanced designing and image manipulation tasks on any of the popular OS platforms (Windows, Mac, Linux). Here is a list with the three most popular applications that you can download and use for personal or commercial purposes. Did we mention that it’s free? Read on! Touted as Photoshop’s number one alternative, GIMP is an image editor that has been under development for almost 20 years now. This software tool offers a rich and comprehensive set of brushes and filling patterns, light, color and artistic effects (over 150! ), layers, pro-grade editing and transformation tools, and a clean streamlined user interface featuring a single-window mode since its latest version (2.8). 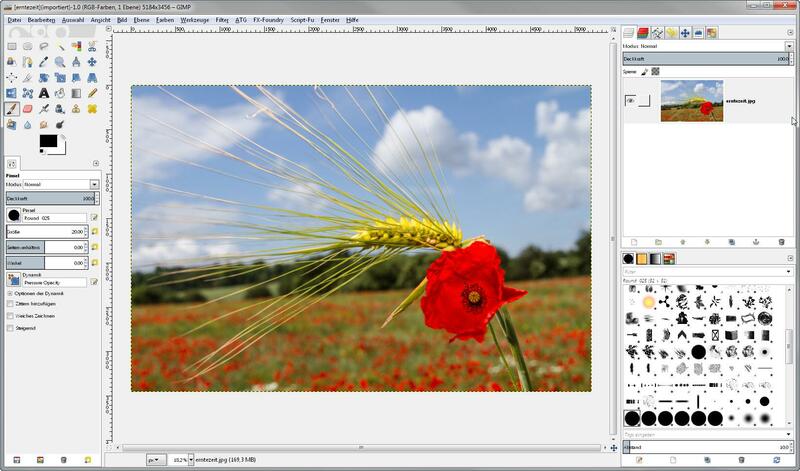 Although GIMP is often compared to Adobe’s popular offerings,, it follows its own GUI approach and tries to be simple and easy to use for the amateur enthusiast, as well as powerful enough for the professionals. GIMP supports working with various file formats (tiff,jpeg,png,gif) including proprietary ones produced by Corel Paint Shop Pro, Autodesk flic animations and Adobe Photoshop or even PDF documents. While GIMP can also open and edit RAW files from digital cameras, it cannot export to similar formats nor does it support non-destructive editing – one of the few downsides of using this otherwise advanced image editor. 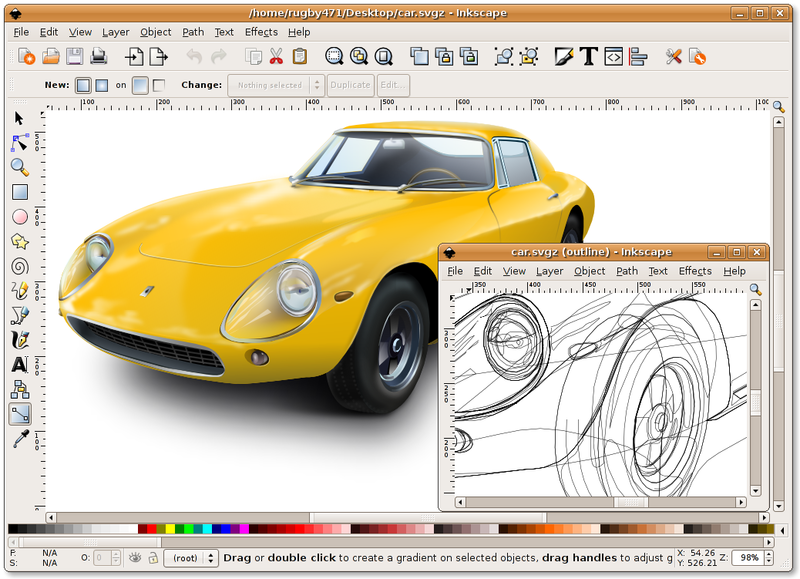 Inkscape is an open source vector graphics tool that works in Windows, Mac or Linux. It features several pro-level abilities such as free-hand drawing, calligraphy with auto-filling, shaping and object creation, multi-line text and embedded bitmaps. Illustrators can use this tool to manipulate drawings via a cursor or by entering specific values for size, rotation, color and such. There is also an option to group objects, auto align them and work in layers. Inkscape can perform advanced node editing, bitmap tracing, apply text on path or in shape, and allow for various pattern filling techniques and methods. It “specializes” in the creation of scalable graphics offering every tool that you’ll need for SVG files, but is also widely used for its PNG creation and manipulation abilities with alpha transparency support and fully anti-aliased display. Inkscape is a great alternative to Adobe Illustrator – the pricier option – and it can be used in the creation of numerous vectors, icons, stickers, magazine art, logos and promotional material. Blender is one of the most sophisticated and successful open source products in its existence today. While it is mainly focused around the creation of 3D models, animations and games development, it also offers pro-grade tools to the graphic designer that are on par with any other paid options. 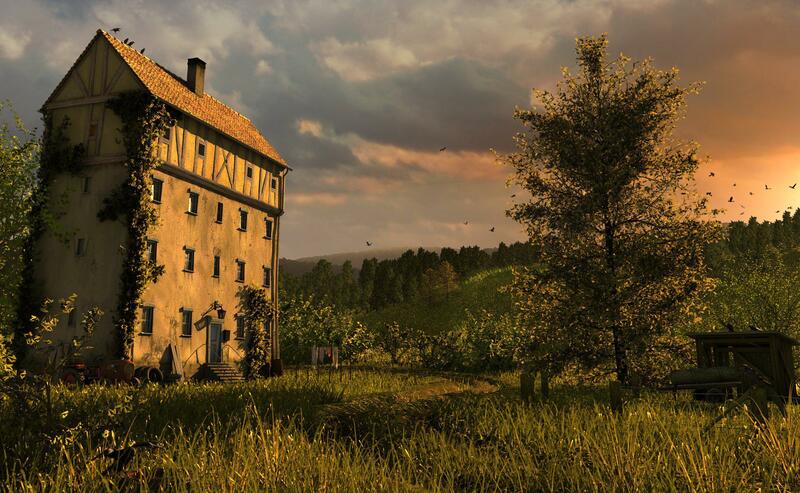 From free-hand drawing and raster image editing, to realistic texturing and rendering, this piece of software constantly delivers jaw-dropping results with some practice. We will recommend watching tutorial videos on how to use its seemingly complicated GUI. Blender follows a project-boosting development approach that is driven by the creation of open movies and open games that greatly accelerate the finalization of new features. Currently on version 2.73a, Blender offers advanced drawing features that designers may find useful such as the stroke sensitivity preferences for the grease pencil sketching that allows you to draw on surfaces or even in 3D such as this illustrative tutorial! Cool, we say! Ps: Short on time and need vectors pronto? We have a library of amazing vector collections for you to discover and choose from!